The second book in American Girl's 2019 Girl of the Year series! Blaire Wilson is a creative girl with bold ideas and a big heart. See how the story of American Girl's 2019 Girl of the Year continues in this second novel! A goat that does tricks. A lamb in pajamas. A celebrity who offers Blaire the opportunity of a lifetime. Things are never boring at Pleasant View Farm! Things get interesting at school, too. Blaire's determined to find a BIG idea for the Community Service Challenge. Her project becomes personal when she befriends a young girl at the local food pantry. With a love of cooking and a farm full of fresh ingredients, Blaire soon has a plan for making a difference. 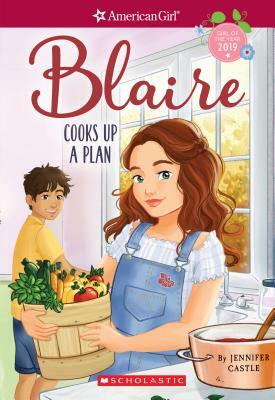 But it's going to take help from her whole class-including a mysterious new kid, Eli-to keep Blaire's creativity from becoming a catastrophe. . . .